If you love your Yorkie more than anything or anyone, this personalized pet gift is just the thing to brighten up your garden. 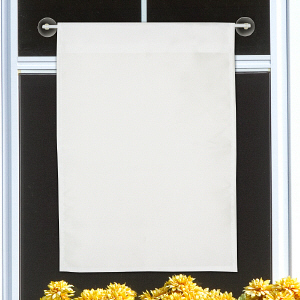 Display this special garden flag with pride! Friends and family members will love the personalized touch and fun decorative quality it will give your yard. 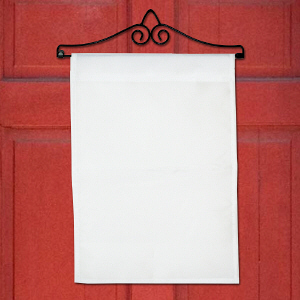 Free personalization of any name is included. Get the Yorkie lover in your life a personalized gift that they'll be proud to display at home. 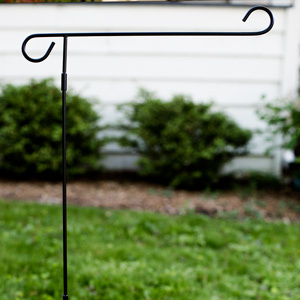 This garden flag will be a touching gift for anyone who wants a special something to honor their dog at home. 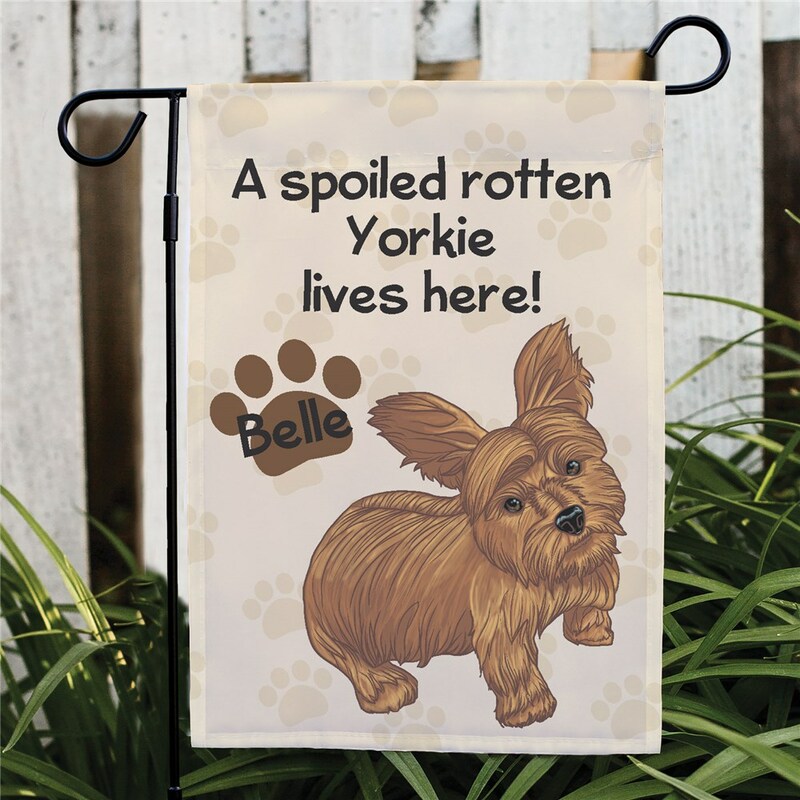 Our Personalized Yorkie Spoiled Here Doormat would complement this gift nicely.